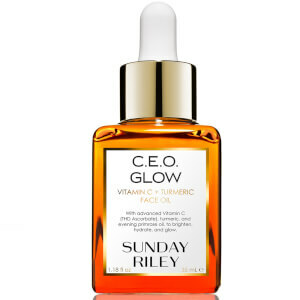 Fight against the common signs of aging with the Sunday Riley C.E.O. Vitamin C Rich Hydration Cream, a lightweight cream that protects the skin against damaging environmental stressors that can cause the complexion to lose its youthful glow. Enriched with Vitamin C to remove dead cells and Exopolysaccharide to form a barrier against external pollutants, the fast-absorbing moisturizer lifts away excess oil while restoring nutrients to maintain the skin’s balance. 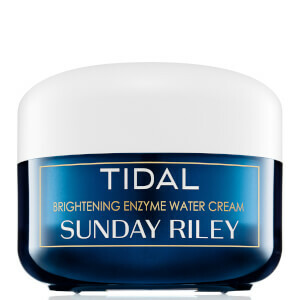 Ideal for all skin types, the formula helps to reduce the appearance of wrinkles and sun damage for a clearer, smoother complexion. Can be used morning and night. Water, Squalane, Tetrahexyldecyl Ascorbate (Vitamin C), Dicaprylyl Carbonate, C10-18 Triglycerides, Peg-8 Beeswax, Hydrogenated Vegetable Oil, Tapioca Starch, Ppg-12 Smdi Copolymer, Polyglyceryl-6 Distearate, Jojoba Esters, Cetyl Alcohol, Sodium Acrylates Copolymer, Polyglyceryl-3 Beeswax, Lecithin, Glycerin, Microcitrus Australasica Fruit (Lime Pearl) Extract, Butylene Glycol, Alteromonas Ferment Extract (Exopolysaccharides), Phenoxyethanol, Terminalia Ferdinandiana Fruit (Kakadu Plum) Extract, Bisabolol, Chlorphenesin, Caprylyl Glycol, Polymethylsilsesquioxane, Nylon-12, Citrus Reticulata (Tangerine) Peel Oil, Citric Acid, Sodium Phytate, Tocopherol, Sodium Hyaluronate, Fragrance, Rosa Centifolia Flower Wax, Rosa Damascena Flower Wax, Alcohol Denat (Found In Botanical Extracts), Caprylic/Capric Triglyceride, Curcuma Longa (Turmeric) Root Extract, Citrus Junos Fruit (Yuzu) Extract, Lippia Citriodora Flower (Lemon Verbena) Extract, Euterpe Oleracea (Acai) Fruit, Butyrospermum Parkii (Shea) Butter Extract, Rosa Canina Fruit (Rosehips)Extract, Oenothera Biennis (Evening Primrose) Seed Extract, Camellia Sinensis Leaf (Oolong Tea).